Matrix-valued data sets - so-called second order tensor fields have gained significant importance in scientific visualization and image processing due to recent developments such as diffusion tensor imaging. 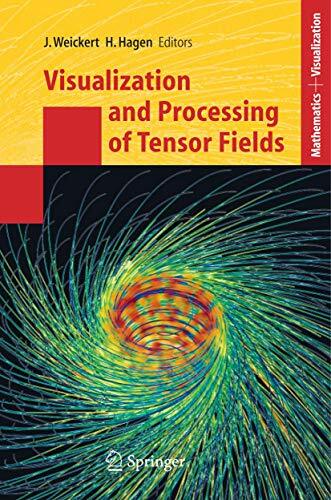 This book is the first edited volume that presents the state of the art in the visualization and processing of tensor fields. It contains some longer chapters dedicated to surveys and tutorials of specific topics, as well as a great deal of original work by leading experts that has not been published before. It serves as an overview for the inquiring scientist, as a basic foundation for developers and practitioners, and as a textbook for specialized classes and seminars for graduate and doctoral students. "This timely Springer monograph collects a total of 25 survey and research articles on the analysis, processing, and visualization of tensor fields, an area with increasing impact and visibility in contemporary imaging and medical image analysis. Compared with many existing volumes of similar styles or missions, this collection has been carefully edited to yield a smooth and continuous flow of topics and techniques. The categorization into five self-contained parts has been enormously helpful for a generic reader to attain an organic view of the entire dynamic field.